1.1 In the northern ASEAN region, no significant hotspot activities were observed. 1.2 In mid-July, drier weather in the southern ASEAN region contributed to an increase in hotspot activities, particularly in northern Riau and West Kalimantan. 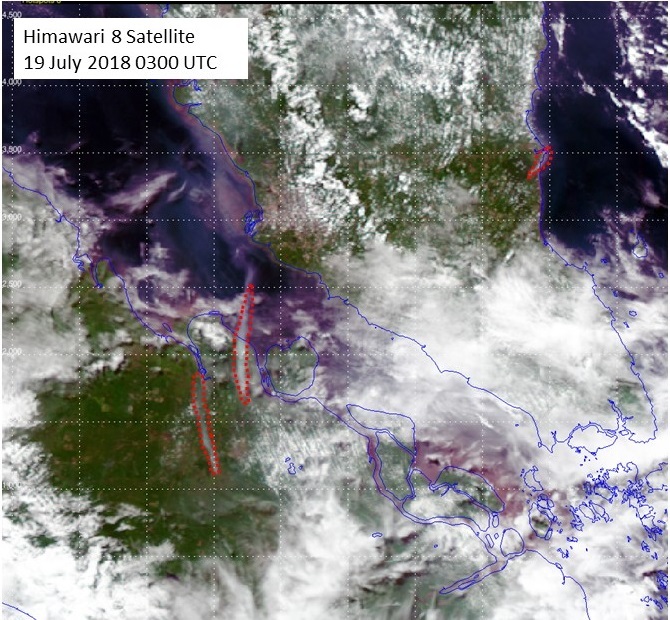 Smoke haze from hotspots in northern Riau was observed to spread northward across the Strait of Malacca towards Peninsular Malaysia. 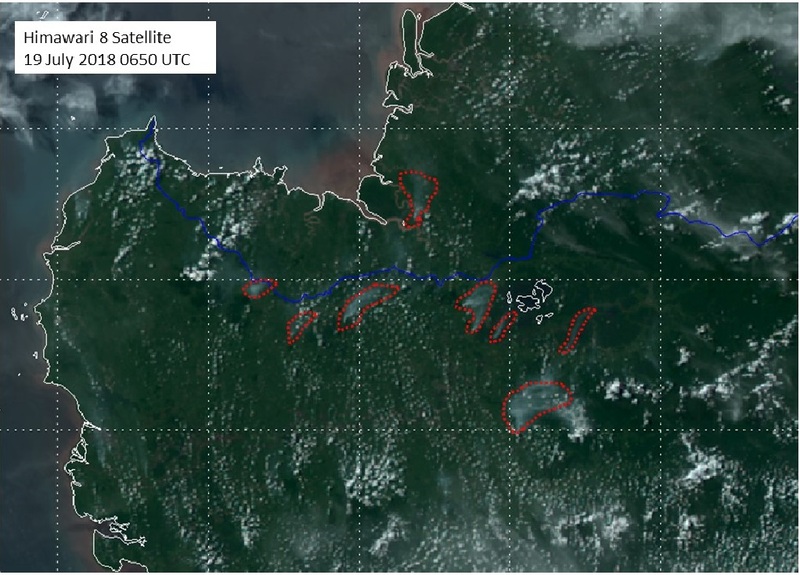 Several clusters of hotspots with smoke plumes were also observed in West Kalimantan and western Sarawak. These hotspots were short-lived and shower activities toward the end of July 2018 helped to subdue the hotspot activities there. 1.3 Figures below show satellite images over the ASEAN region in the second fortnight of July 2018.